The peak leaf season may be over, but did you know that it is important to keep removing leaves throughout the winter? A few leaves here and there certainly do not harm your lawn, but letting leaves pile up or accumulate around the yard can damage your grass. 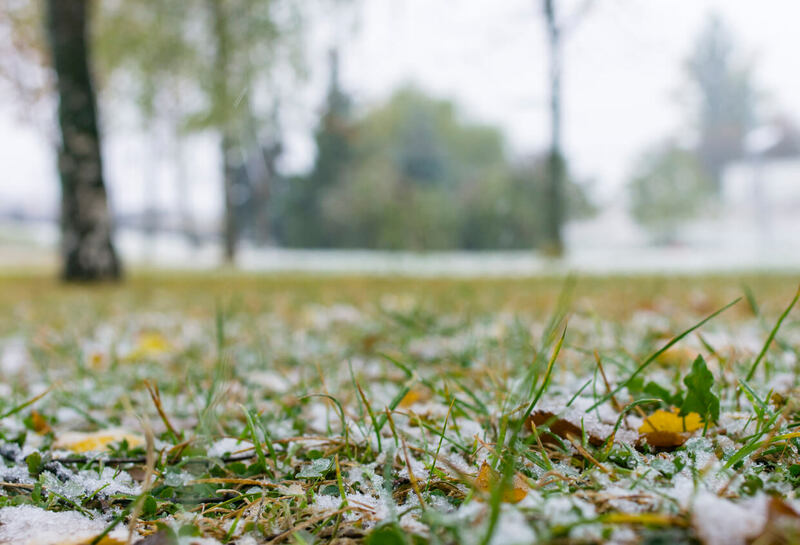 When your lawn is covered with leaves, it is not receiving an adequate amount of sunlight and oxygen. Both of these elements are critical to the successful growth of grass plants. Additionally, as leaves become wet and continue to sit, it promotes an environment that is highly susceptible to fungus. Leaves also provide excellent hiding spots for rodents and snakes, which most people tend to want to avoid in their yard. At Canopy Lawn Care, our Pros use a combination of leaf blowers and rakes to remove the leaves from customer properties. We rake up leaves and light debris from the lawn and bed areas and then blow the leaves into natural areas or curbside for municipal pickup when available. Some people prefer to mulch their leaves instead of raking. It is true that mulching leaves in small quantities can add nutrients to your lawn and soil. The best way to mulch leaves is to use a leaf mulcher. This allows you to mulch the leaves into small bits and scatter them into different areas. However, not everyone has a leaf mulcher on hand. Mowing leaves instead of raking is also an option, but this method is only beneficial when leaves have not built up. If you have a small amount of leaves on your lawn, you can mulch them with your mower, creating a natural fertilizer. Again, if your leaves have built up, we do not recommend trying this method. You will only make a mess of both your mower and your yard. Leaves are a great addition to the compost pile. Composting can be very beneficial for your lawn. If you are raking or blowing leaves, consider turning them into reusablecompost. The leaves add an organic layer to your compost mix, which can also include things like food scraps, paper and more. Compost piles should be turned every few weeks or you can also find a compost container with an easy crank for rotating. Grass clippings also make excellent compost, so if you are using your mower to mulch leaves, you can toss all of the clippings in together. Need Help With Leaf Removal? If you don't feel like raking wet leaves or don't have access to the best leaf blower, call the helpful Pros at Canopy Lawn Care. We would love to serve you! Call 1-888-226-4769 for a quote today or get a quote online.